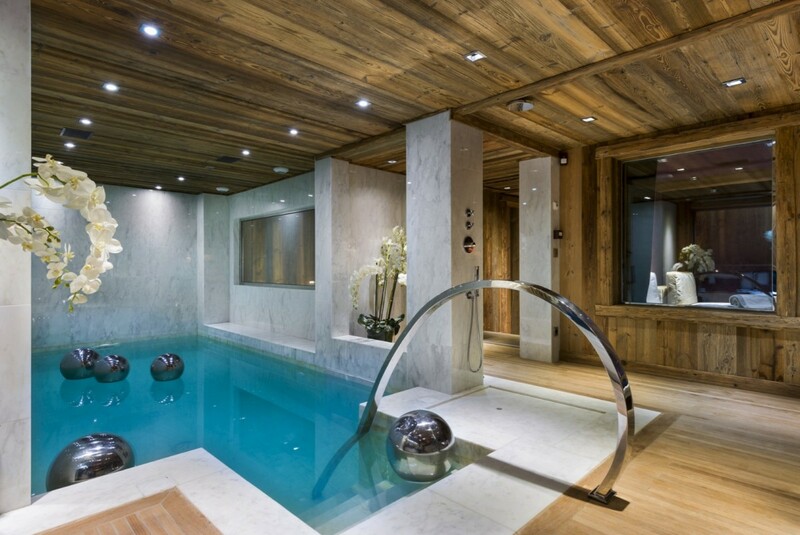 Chalet Carat Courchevel. 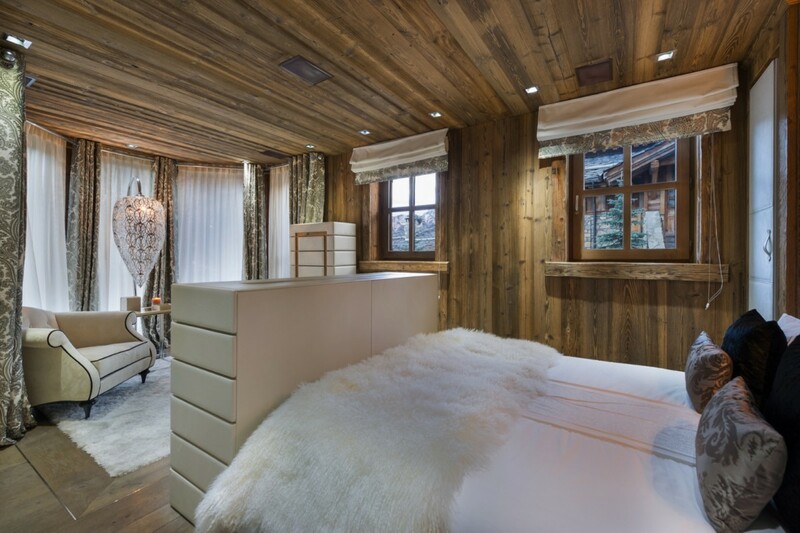 A short distance from the village of Nogentil in the world-class Courchevel 1850 area of the French Alps is the Chalet Carat. This is an exceptionally luxurious chalet that features everything from a wellness floor to home theater. 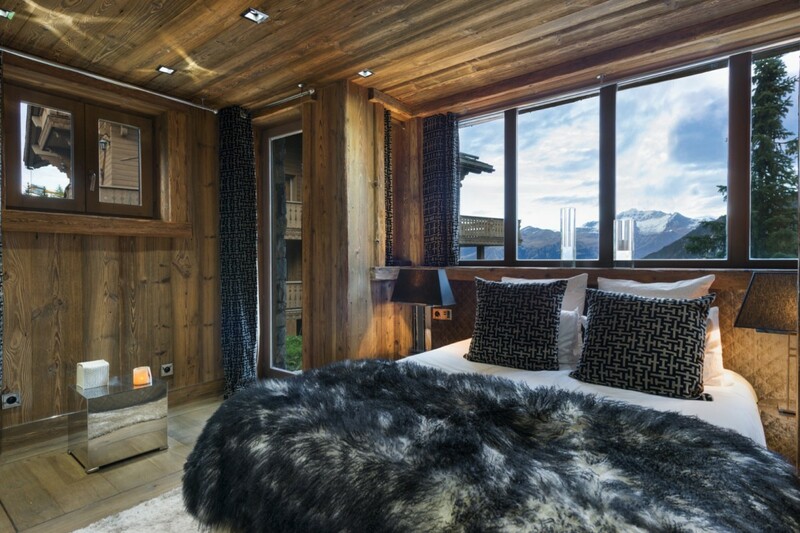 Like so many chalets, this one features multiple floors and truly stylish décor. 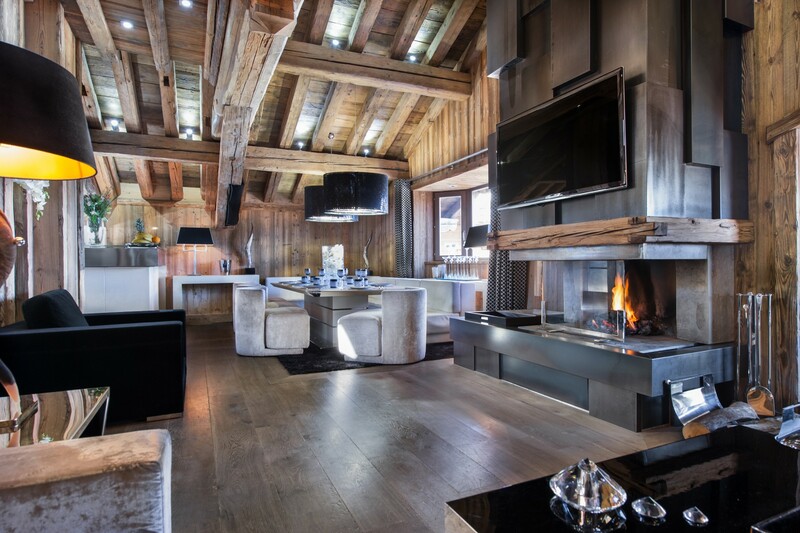 Done in a far more modern style than many other chalets, it uses the traditional wood beams and numerous windows to maximize the scenery and natural light, but each living space throughout is done with a masterful hand emphasizing contemporary trends. Stone, steel and unique shapes all combine to create a balanced setting throughout. The ground floor features the wellness level with a full, indoor swimming pool, a surrounding lounge with sofas and a bar. 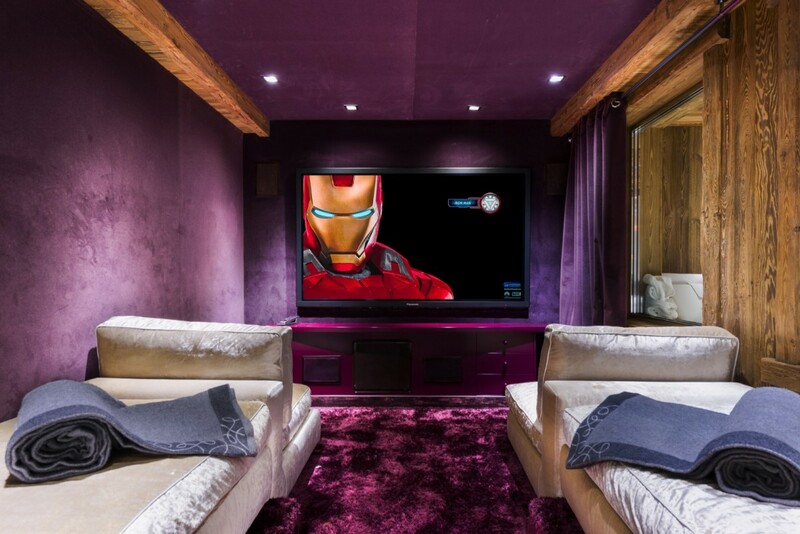 Also on this level is the complete home cinema with media library. There are also several bedrooms at this level. There next floor features a children's level and up a bit more is the mezzanine. This contains the enormous, open floor plan living room with its contemporary fire place, views, and dining area. Nearby is also the professional grade kitchen. There is also an apartment with living room, kitchen and double bath that is ideal for staff, childcare providers or even teens who want a bit of independence. A visit here includes the services of a butler and a governess if required. There are four individual bedrooms that include a master suite on the wellness level, and two double suites. Each features an ensuite bath and luxury toiletries. The other bedroom is the children's bunk room with private bath and entertainment system. Whether everyone in your party loves to ski or would prefer a day swimming, watching films or relaxing in front of all that scenery, the Chalet Carat is going to be an unforgettable spot for all. Rates includes: Daily Chef service for Breakfast, daily housekeeping service, linen changed in the middle of your stay, bathroom products, all utilities (electricity, water, wood, heating), local taxes and welcome and assistance. Bedrooms 1 - 3: Bedrooms with a double bed and en-suite bathroom with bathtub, vanity and WC. 2 guests maximum. Bedroom 4: Bedroom with 2 single beds and en-suite bathroom with bathtub, vanity and WC. 2 guests maximum. Bedroom 5: Bedroom with a double bed and en-suite bathroom with bathtub, vanity and WC. 2 guests maximum.